Kate interviews "24" actor Keifer Sutherland, Heroes creator Tim Kring and President of Entertainment for Fox TV at Mipcom about the new show Touch, which will debut in March 2012. See Kate from minute 30. Kate moderated this panel on Ultraviolet. Here is the clip. 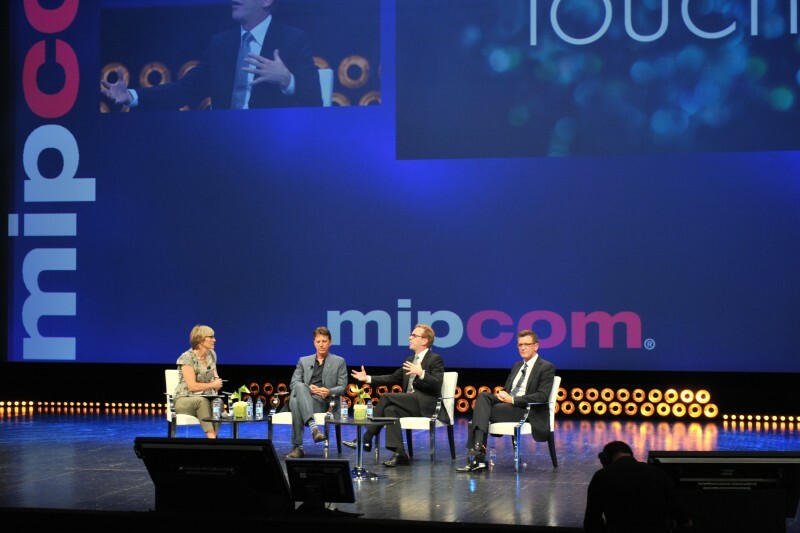 Kate also moderated the Discovery panel at MIPCOM. 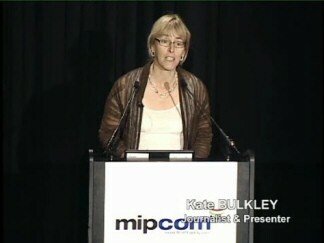 Kate was also one of the speakers at the MIPCOM 2011 wrap-up session. Twitter's Director of Media Partnerships led a captivating Q&A on “How Real-Time Engagement is Changing Content”, sharing an insider’s playbook on harnessing Twitter to create new approaches to content creation and audience engagement, online and on-air. Jon Miller is Chief Digital Officer, Chairman and CEO, Digital Media Group for News Corporation, a role in which he drives the Company’s overall digital strategy in conjunction with various operational heads, while also directly overseeing all of News Corp.’s standalone digital businesses. Kate Chaired the am session at Mipcom in Cannes Wednesday Oct 10, 2007. It began with a keynote by Mike Volpi, CEO of Joost followed by two panels. Click here to view a video stream of the keynote. Click here to view a video stream of the panel. TV is no longer simply about the airwaves. Many of the companies formerly known as telephone companies have expanded their portfolio and have spent in some cases billions to upgrade their networks to deliver video as well as their more traditional voice and broadband products. But even as these IPTV networks are starting to grow, other companies are using the open internet to deliver programmes and entire streamed channels to audiences. Joost and Babelgum -and many others- are vying to be the new delivery platforms for video content. What are the differences in their delivery and interactive capabilities and techniques for programmers and how do the business models compare? Exclusive or not? Where do you license your content in the fast-changing broadband and IPTV delivery environment? Studios and programmers are trying out a host of different strategies from launching their own platforms (see NBC Universal and Fox) or teaming up with established sites form MySpace to YouTube to licensing to telco TV operators like Tiscali, BT Vision and Orange. What have been the results so far? What are customers using - downloads or streamed services? What revenue sharing seals are programmers and network operators willing to strike? Is ad-supported content the way to go for content? As exploitation windows get closer, how does this effect the money to be made from telco TV and platforms like Joost and Babelgum? -shifting, peer-to-peer distribution and migration of advertising dollars to the internet, hear what these changes mean for traditional broadcasters, programme makers and advertisers and what their vision of the future might be. Click Here for the audio stream and here for the video stream. 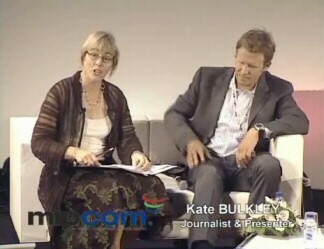 Kate introduces two of the BBC's leading drivers for content and future media technology at the recent Miptv Conference (18th April 2007). They take us through the BBC's unique processes for the development of new entertainment programmes and cross-media content. Online communities such as Myspace and YouTube have been phenomenally successful. Are they really the new broadcasting platform? 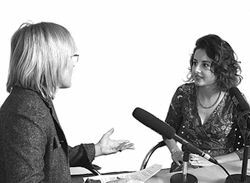 This question and other issues are discussed in this podcast. For some time now large proportions of worldwide email traffic has comprised spam. The European Commission has changed its regulatory approach to spam from "opt out" to "opt in". This means that you can only send direct marketing materials by email with the consent of the recipient. Does this mean that spam is dead? This question and other issues are discussed in this podcast. 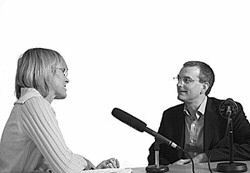 Telecoms Partner Rod Kirwan talks to Kate about the mobile pricing regulation. The European Commission and Government Regulators across Europe are focussing on mobile pricing, not just on roaming but also on voice and, potentially, SMS. What is it all about? And why is this all coming to a head at the moment? 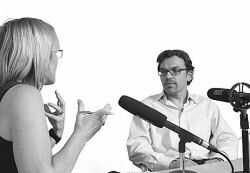 These questions and other issues are discussed in this podcast. 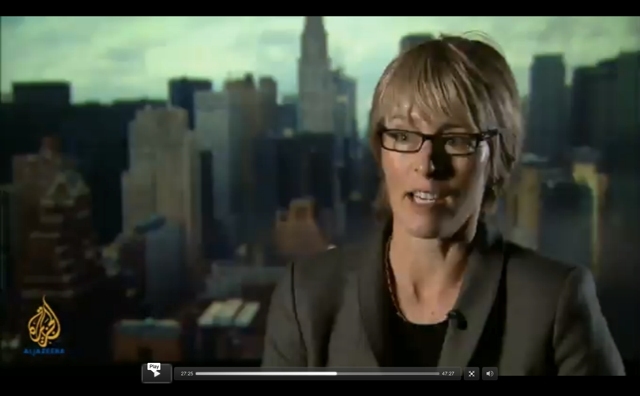 Media Partner Ingrid Silver talks to Kate about the Television without Frontiers Directive. First established in 1989 the Television without Frontiers Directive is about to be updated. How has the landscape changed? Is it really possible to regulate content? These and other issues are discussed in this podcast.